Spending money on gas is a necessary evil. Here we have detailed a few tips to hopefully put more time in between your trips to the pump, thanks to simple car maintenance and safe driving practices that all drivers can put to use. The way you drive and care for your car have a huge impact on your gas mileage. Driving carefully and calmly improves gas mileage by keeping a steady speed. Avoid frequent acceleration and braking – these maneuvers are dangerous and degrade gas mileage. Following the posted speed limit can also help improve fuel efficiency. Many vehicles achieve optimal fuel mileage between 45 and 60 mph, so driving the posted speed limit (or slightly below if safe) on the highway can help optimize your car’s fuel economy. Check your tire pressure monthly to help your car maintain fuel efficiency. Properly inflated tires reduce the workload on your car and avoid excessive wear on your tires. Also, using your car manufacturer’s recommended grade of motor oil can increase your mileage by 1-2%. There is no substitute for regular maintenance and tune ups on your car to help with fuel efficiency and the longevity of your vehicle. 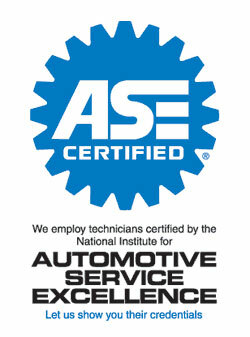 For expert car and truck repairs, call us today at 941-493-6511! Posted in Uncategorized on August 24, 2015 at 7:32 pm by Rolling Auto Service.